Vaporesso VECO Plus rebuild-able Tank Atomizer is featured with 24.5mm diameter and 4ml bigger e-juice capacity. It almost satisfy all the demands of smokers: Pre-installed Traditional Clapton EUC 0.2ohm, rebuild-able Ceramic EUC 0.6ohm tool pack for DIY lovers and a replacement Pyrex glass tube. 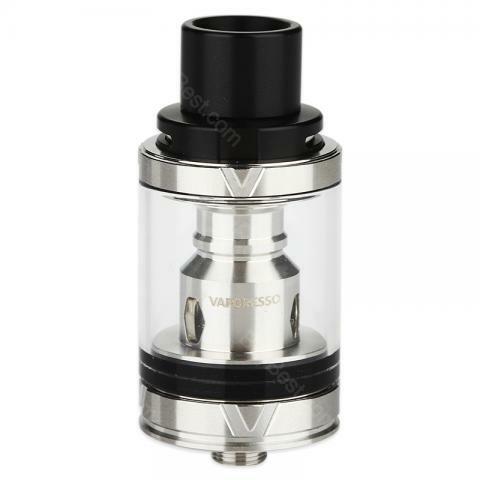 Vaporesso VECO Plus rebuild-able Tank Atomizer is a new bigger tank than previous VECO RTA, but similar in the structure. This tank is featured with 24.5mm diameter and 4ml bigger e-juice capacity. Integrates a unique top airflow circulation system, Vaporesso VECO Plus Tank features anti-leaking apparatus. It almost satisfy all the demands of smokers: Pre-installed Traditional Clapton EUC 0.2ohm, rebuild-able Ceramic EUC 0.6ohm tool pack for DIY lovers and a replacement Pyrex glass tube. With the 510 thread, this tank fits most mods. Zum Geschmack kann ich Keine Vergleiche ziehen, da ich keine große Erfahrung mit solchen Dingen habe. Mir gefällst auf jeden Fall, würde ich Vaporesso VECO wieder kaufen! Price and quality are pretty good for me, i like it!